One of the great things about the Gunnison Valley is the sheer amount of fun that’s possible. With over 2,000,000 acres of public land, unique small towns, and a a funky, chill scene it’s possible to spend a lifetime here and not experience everything. If you’re coming to visit and you’re looking for the best ways to maximize your vacation while minimizing cost, we’ve come up with a list of 25 of our favorite activities that cost less than $25 per person. Both Gunnison and Crested Butte have museums featuring exhibits of local history and lore. The Crested Butte Mountain Heritage Museum is located at 331 Elk Avenue and has one of the best local gift shops in town. Entry to the museum is $5 per person (children under 12 get in for free!) 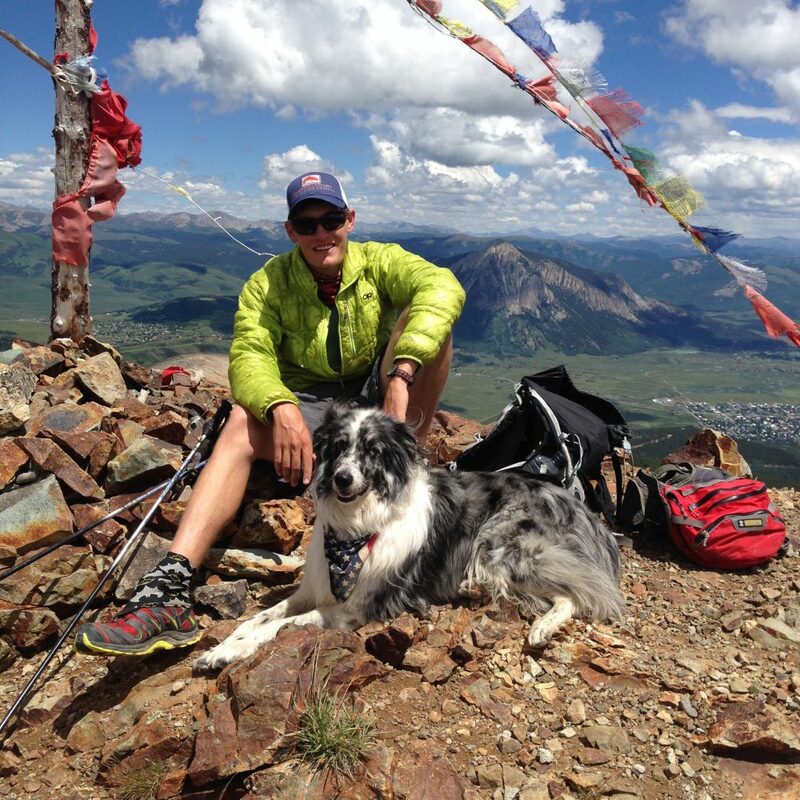 and Historic Walking Tours of Crested Butte can be arranged for $10 per person. The Gunnison Pioneer Museum is located just off Highway 50 East before you leave town. The Pioneer Museum is a bit larger than the Crested Butte Museum and has a lot of room to roam. Historic buildings, vehicles, and mining equipment are accessible for $10 per adult and $3 for children over 6. Crested Butte is the Wildflower Capital of Colorado so it’s a no-brainer that this one makes the list. The wildflower season starts in Gunnison in May, but really reaches its peak in the high alpine in July and early August. Pretty much any hike you go on during this time of year will give you a good taste of the floral diversity in the valley. Where there are mountains and snow there are also creeks and waterfalls. Some of our favorite ones to check out are at Judd Falls, just past the small town of Gothic and the Rocky Mountain Biological Laboratory, and Oh-be-Joyful Creek just off Slate River Rd. Both involve short hikes around 1-3 miles. 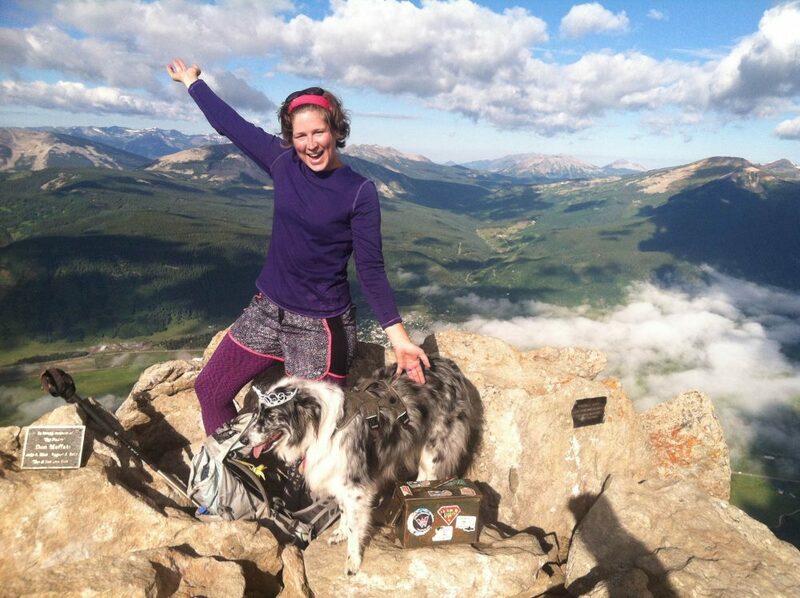 There may be nothing more “Colorado” than bagging a peak on your vacation. While many of the 14ers (peaks over 14,000 ft.) in our area are incredibly tough and hard to access there are a great many other mountains to climb with similarly stunning views. Some of our favorites include The Red Lady from Elk Creek Trail and Cinnamon Mt. from Paradise Divide. Make sure to pack a map, and expect at least some portion of both to be off-trail hiking. Make sure you get an early start too. There’s nothing worse than getting struck by lightning on your vacation. CB SUP and Float Shack both offer tube rentals in Crested Butte for a relaxing day on the water. Float the Slate River or just hang out in the sun at Lake Irwin all day, it’s your choice. Montanya Rum is one of our local distilleries and you have to give their signature cocktails a try. You won’t find beer or wine here, but you will find handcrafted cocktails with a variety of infusions and innovation. Even if you don’t think you like rum, try a drink and we think you’ll change your mind. Every Tuesday from June 20 to August 22 you can catch an awesome outdoor concert down in Gunnison at the IBar Ranch. Some highlights for the 2017 season are local rockers MILLK, Alan Ray and the Coconut Telegraph, and the Jollification Project. Camping is available after each show for an extra $10. The Morrow Point Boat Tour is one of the best ways to experience the heart of the Black Canyon of the Gunnison without having to deal with poison ivy, long hikes, or remote conditions. The tour is operated by Curecanti National Recreation Area and involves a short, but somewhat strenuous, hike in (around 1 mile) to reach the boat dock at lake level. From here the 1.5 hour tour will take you to some of the most scenic and historic sites on Morrow Point Reservoir. Looking for a great way to cool down after a long day? Check out the homemade ice cream at Third Bowl, located at 201 1/2 Elk Avenue. Inventive flavors like Honey Lavender and Cilantro Lime as well as homemade donuts every morning are sure to put a smile on your face. Every Wednesday and Friday from June 16 to September 1 the Evolution Bike Park stays open late for Twilight Rides. 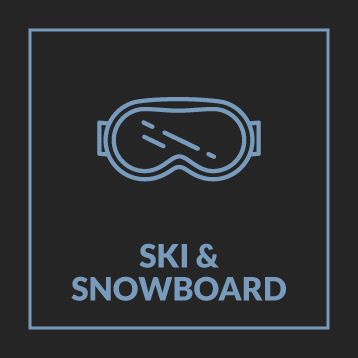 For $8 you get a lift ticket to the Red Lady lift and the downhill mountain biking trails that is valid from 4:30-7pm. 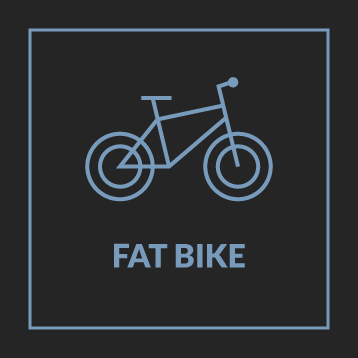 The bike park features trails from easy to extreme, and this is a great way to sample the trails before committing to a full-day ticket down the road. 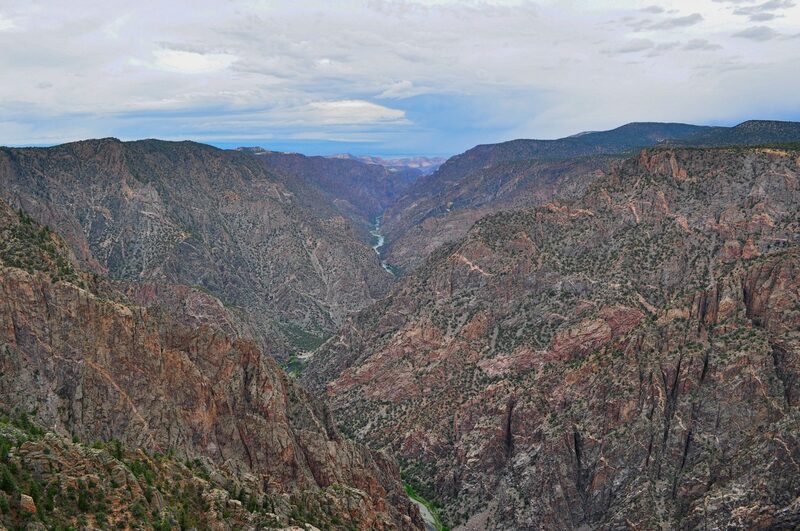 The Black Canyon of the Gunnison is one of the country’s newest National Parks, and is one of the most stunning. Sheer 2,000 ft. walls plunge straight down to the river. A road, campground (extra), and many view points stretch along the South Rim. Check out the visitor center for more information on the history, geology, and wildlife of the park. The Gunnison Valley’s newest brewery is one place you need to check out on your trip to the valley or after a long ride at Hartman Rocks. Our favorites are the Gunny Gold Kolsch and the Green Gate IPA. Seasonals and other small-batch brews are always on tap, and they can sling a mean stout come winter. Take your pick of any of the three Farmer’s Markets held in the valley weekly during the summer. The Gunnison market is held every Saturday morning at Virginia and Hwy 135. 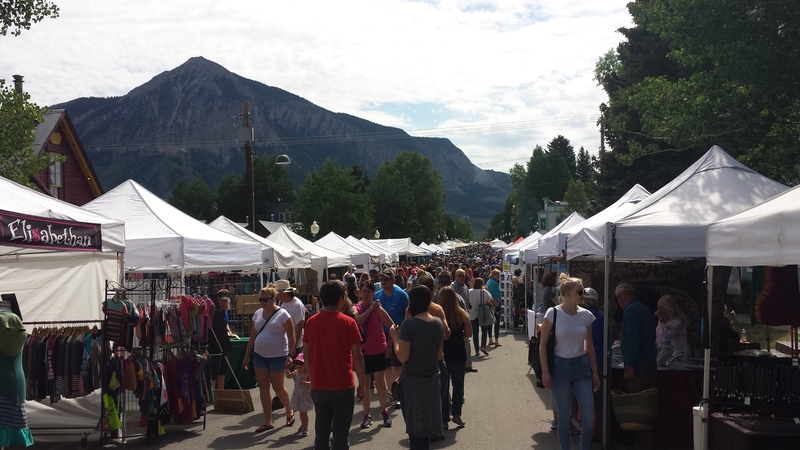 The Crested Butte market is held Sunday mornings between 1st and 2nd street on Elk Avenue, and the Mt. Crested Butte market is held Thursday afternoons at the base area of Crested Butte Mountain Resort. Most of the markets run through the fall. The Mt. Crested Butte market runs through August 31st. 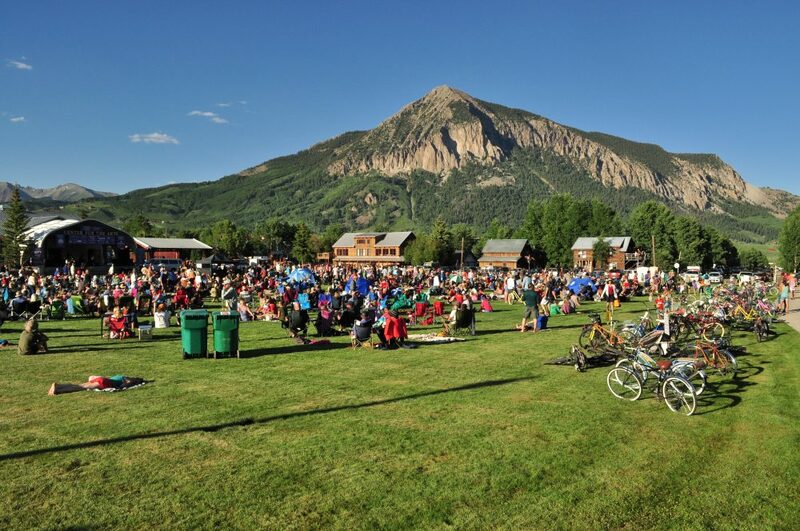 Alpenglow is a free concert series hosted by the Crested Butte Center for the Arts on the park lawn adjacent to the property. A new show is held every Monday starting at 5:30pm. Bring a lawn chair or blanket and some snacks. Alcohol is available for purchase at the venue. 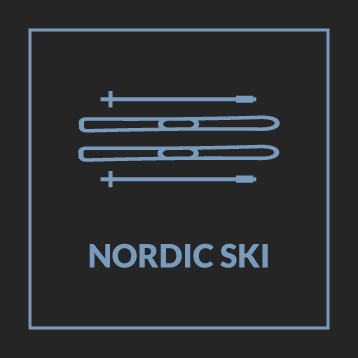 The last Alpenglow concert of 2017 is on August 14th. Live From Mt. CB is another great way to expand your free concert experience while visiting the valley. Held every Wednesday night at 5:30pm at the base area of Crested Butte Mountain Resort, it’s a heck of venue to stare at the peak while you rock out to a free concert. Sundays at 6 is the free concert series in Gunnison. 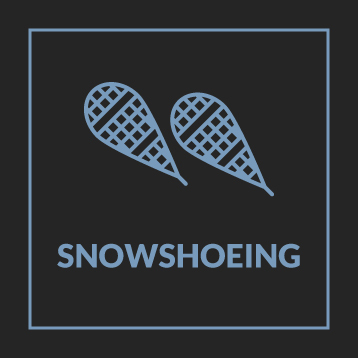 If you combine this with Alpenglow and Live From Mt. CB you can enjoy free music 3 nights out of the week. The Sundays at 6 concerts are held in Legion Park in Gunnison right next door to the Gunnison Country Visitor Center. Mariachi on the Rocks is one of the coolest events this summer. Part of the Crested Butte Music Festival, this event is held in the Spiegeltent in Mt. Crested Butte on August 20, 2017. Drink specialty margaritas and eat locally crafted salsas, all while listening to Mariachi Sol De Mi Tierra. 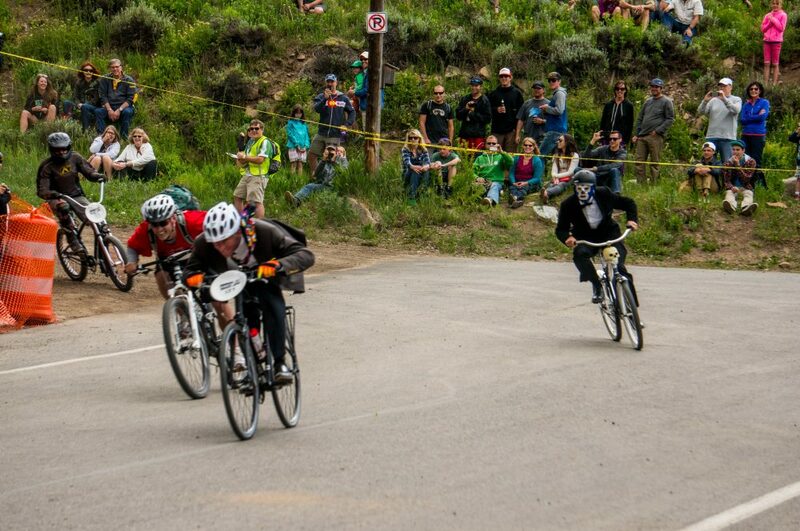 The Chainless World Championships is one of the Gunnison Valley’s wackiest events. 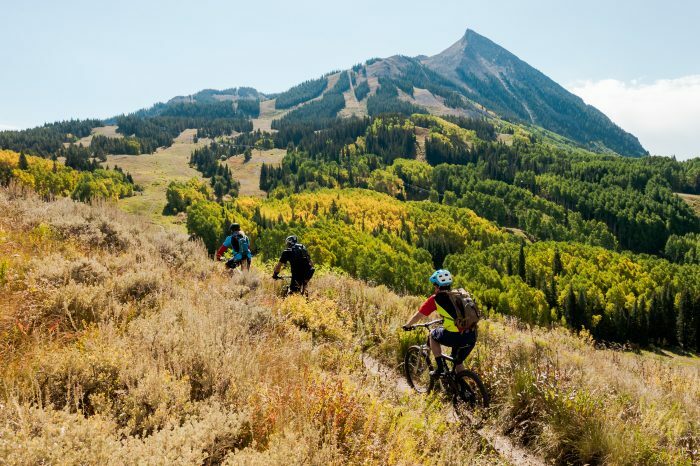 The event is held on the Friday of Crested Butte Bike Week and is a costumed romp down Kebler Pass Road into Crested Butte. The goal is to coast your way 7 miles into town and to have the most fun. The Crested Butte Arts Festival features 175 vendors along Elk Avenue the first weekend in May. Now in it’s 45th year, the Arts Fest brings in some of the most unique artists in the country for 3 days. The 2017 dates are August 4-6 and admission is free to the public. Want a taste of the Gunnison Valley’s ranching heritage? You can’t go wrong in attending one of the three Cattleman’s Days rodeos that take place every year. Now in it’s 117th year, the Cattleman’s Day rodeos will take place each night July 13-15, 2017 at 7pm. Bring your boots and jeans and have a ball! The Gunnison Valley Observatory graciously opens up their telescope for public viewing every Friday and Saturday night through the summer. For a $5 donation you can peek through the telescope and talk with local experts about the universe, space, and everything in between. Held every year in the fall, the Community Iron Pour is one of Crested Butte’s most visually stunning displays. Community members carve sand block molds in the month leading up to the event at workshops held by the Center for the Arts and then everyone is invited up to The Bench above town to watch the pouring process under the stars. Professional artists create large performative molds as well. It’s free to attend the event, but if you want to create your own piece of iron art, the smallest size sand block molds cost $35 each. Did you know opera singers like to come train at the Crested Butte Music Festival because, like athletes, training at high elevation helps them develop their talents? Attending the main opera performance at the Crested Butte Music Festival costs $50 or more per person. The local secret is that you can attend the dress rehearsal for just $10. Check with the Music Festival’s site for dates, times, and tickets to these rehearsal and enjoy some high culture in the high mountains. Experience the pleasure of standing on top of a mountain without too much hard work. 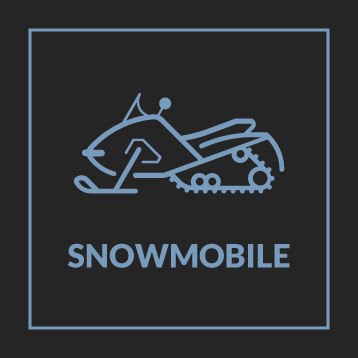 Crested Butte Mountain Resort runs the Silver Queen lift daily 9:30-2:30. Buy a single lift ride ticket then catch an early chair up and hike the 1.5 mile trail to the summit. Some fun and easy scrambling is required to make it all the way up, but once you do you’ll be able to see one of the best views in the valley. The Guild Cafe, located at the top of Elk Avenue past 1st St., is one of the best places in town to get a cup of coffee. We have been told that they are the only place on Colorado’s Western Slope where you can get a Steampunk Coffee. All their beans are roasted on site, and while the caffeine is the main treat, it’s pretty cool to watch them brew your cup of liquid gold.